In 1930, New York’s Museum of Modern Art began collecting photography, making it one of the first institutions to consider the medium a legitimate art form. Seven years later, Beaumont Newhall mounted the museum’s first large-scale exhibition of photographic works. This show was central in establishing an enduring place for photography in the arts and Newhall, who went on to become the first Director of Photography at MoMA in 1940, contributed a lifetime’s worth of scholarship to the history of the medium. Since then, as the city has grown, the volume and scope of art in New York has expanded exponentially, and with it, photography. The medium’s relationship to the broader art world has proven slippery and hard to pin down at times, but its current place demands respect. It is easily found among the exhibition schedules of galleries and museums, in the roster of post-graduate university courses and as the topic of scholarly symposia. Furthermore, it has surpassed the sometimes-rigid boundaries of scholarship; contemporary photography is as present in the work of amateur and emerging artists as vintage photography is in museum collections. Here is where we come in. László Moholy-Nagy’s prediction that “the illiterate of the future will be the person ignorant of the use of the camera” has become resoundingly true, and New Yorkers have no excuse for ignorance. In this city, you can find galleries and museums showing every kind of photography from all over the world, from Daguerrotypes to documentary photography and salt prints to the most contemporary interpretations of the medium. At New York Photography Diary, we cover the entirety of the New York photography scene, from museum retrospectives of established artists to small shows from emerging talent. We’ll make you aware of lectures, events and auctions, and frame it all with articles provided by our writers. We want to make this diverse world inclusive and comprehensive, so that everyone has a chance to get involved. 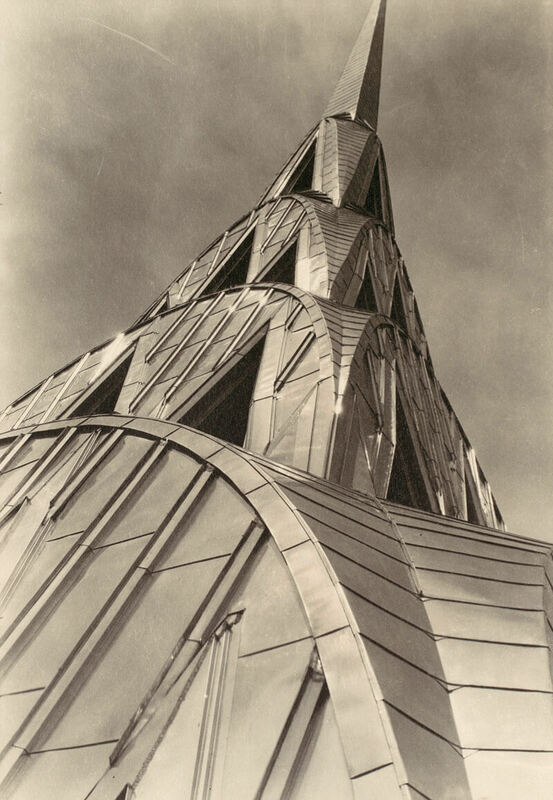 credit: Margaret Bourke-White, Chrysler Building, 1930-31.